Beautiful updates in this 3 BR, 2.5 Bath Brick Ranch in sought after Beechwood Village in St. Matthews. 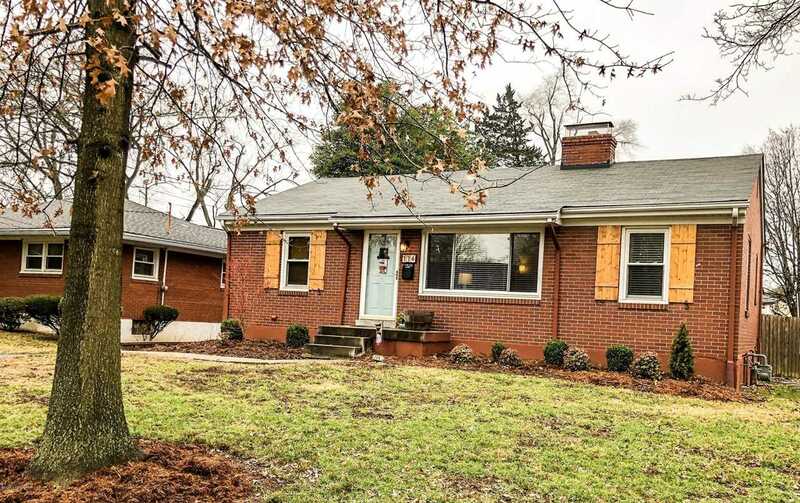 This ''Fixer Upper'' style decor throughout this home with every attention to detail in the Hardwood Floors, Eat-in Kitchen with white cabinetry, granite & stainless appliances & separate dining area. Large living room with fireplace & lots of windows & new recessed lighting make this room very open & spacious it also has its own coffee bar & sitting area. There is a first floor master bedroom with half bath & full bath also on this level. All bedrooms have large closets & hardwood floors, new paint, custom blinds & window treatments. Finished lower level with Family room, Full bathroom with shower & whirlpool tub, Possible 4th bedroom, storage room & laundry. Rear patio area with breez way connected to 2 car garage, fully fenced rear yard complete this adorable super cute home. Just a few of the updates include roof, paint, light fixtures, door hardware, windows, & much more. Call today for your private showing. SchoolsClick map icons below to view information for schools near 114 Marshall Dr Louisville, KY 40207.